August is traditionally regarded as a slow, languid month, in which not a lot is supposed to happen; a time when "serious" news is expected to take a holiday. 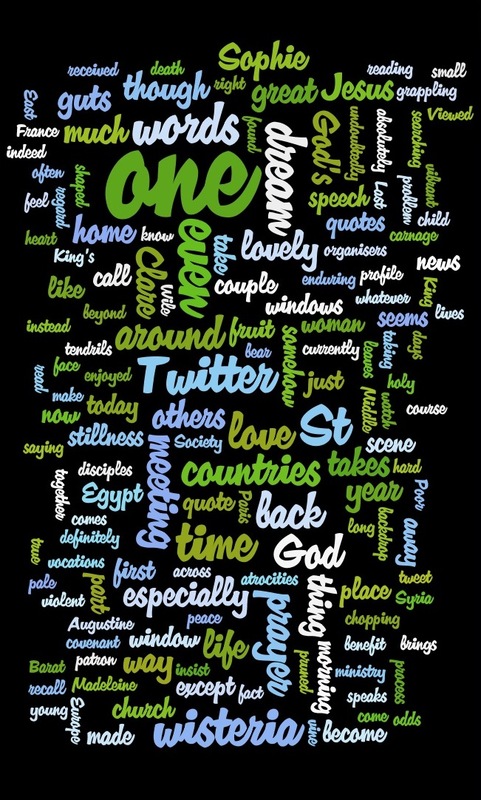 But looking at this month's Wordle, I can see that - this year at least - the opposite has been true. Does it reflect your August, or did you manage to have a slow and languid month..? 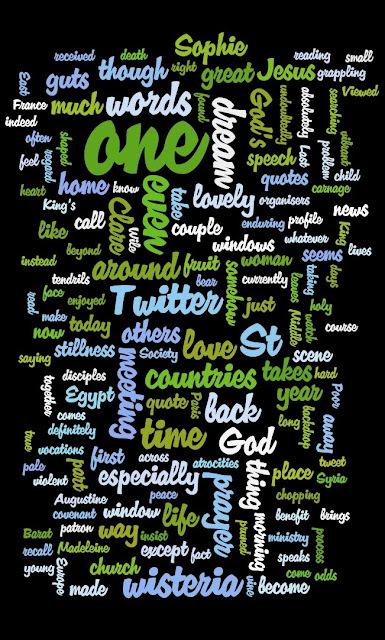 That big "One" near the top (could even pick out, albeit ungrammatically, "though much words, ONE") suggests a unity and wholeness holding all the diverse busyness together. Maybe only seen in hindsight, though. I hope September brings you blessings - and a bit of chilling!